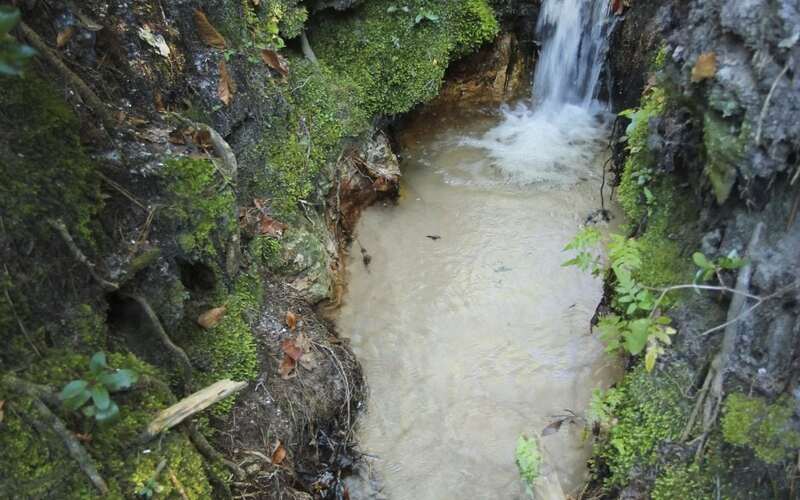 Located in Bristol, Florida, the Apalachicola Bluffs and Ravines Preserve is home to some of nature’s rarest habitats. Its bay region counts as one of North America’s five biological hot spots and is a desired location for outdoor activities. The preserve is unlike any other is Florida and houses a large amount of imperiled wildlife. These animals and plants make their homes among the streams and steephead ravines. The latter are rare and create a natural environment that you can’t find anywhere else in the world. This biologically unique area measures approximately 6,000 feet and also houses eclectic wildlife that you would find in the Appalachian Mountains. Two of the rarest evergreens in the world grow here: the Florida yew and the Florida torreya. You can spot the yews when hiking the botanical loop trail, but the torreyas are no longer prominent. Other unusual plants you should look for include the pyramid magnolia, mountain laurel, wild ginger, Florida anise, oak leaf hydrangea and trillium. You can also find plenty of assorted wildflowers and grasses. The Apalachicola Bluffs and Ravines Preserve houses rare species of migrating and resident birds. These include Mississippi kites, wild turkeys, hooded warblers, bald eagles, Bachman’s sparrows and the Louisiana water thrush. It’s also home to tortoises, including the gopher tortoise. You can find them easily out and about when the weather is mild. Take care when parking your car, RV camping or when walking. The area also has common upland species, including six-lined race runners, white-tailed deer, Sherman’s fox squirrels, cottontail rabbits and different snakes. This self-guided trail is less than 4 miles long, but it does present challenges. These include steep ascends and descends through sand hills and forests. The Garden of Eden Trail also crosses a stream. Experienced hikers recommend that you bring water, snacks and a walking stick. To make the roundtrip, it can take several hours. However, all the navigational challenges are worth it because the trail leads to a bluff 135 feet above the river and offers incredible views. The bluff once played a role in the Civil War. 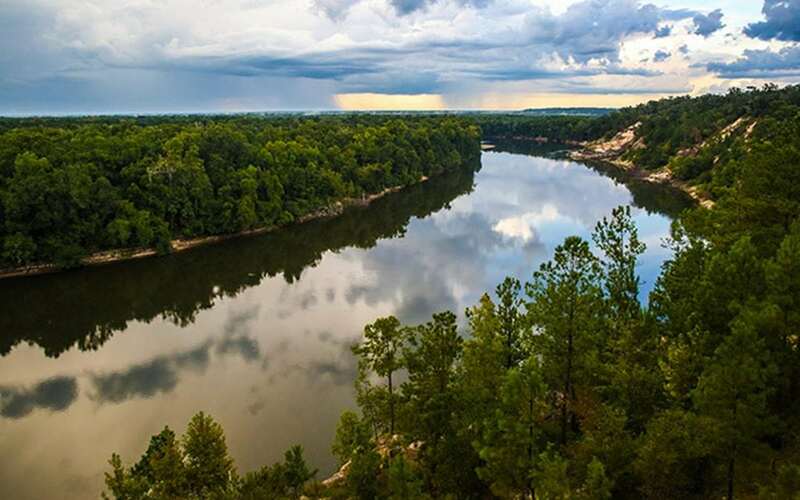 Under Andrew Jackson, confederate troops fortified it to protect the Apalachicola River from attack. While the view of the river remains the same, the batteries remain mostly undetectable today. Because of the delicate balance of nature here, only foot travel is allowed. You can’t bring pets, and climbing on the bluffs is prohibited. Observe the Alum Bluff trail signs because the abandoned sections are prone to collapse. Camping, firearms, hunting, collecting, littering and fires are not permitted either. This allows for protection of the rare geological features and maintains the area for those who love to explore fantastic landscapes. The Preserve is located at 10394 NW Longleaf Dr, Bristol, FL 32321. As per their Facebook page, they are open M-F 8-5, Sat 7-8 and Sun 9-6. Please contact them at 850.643.2756 to verify and for more information.